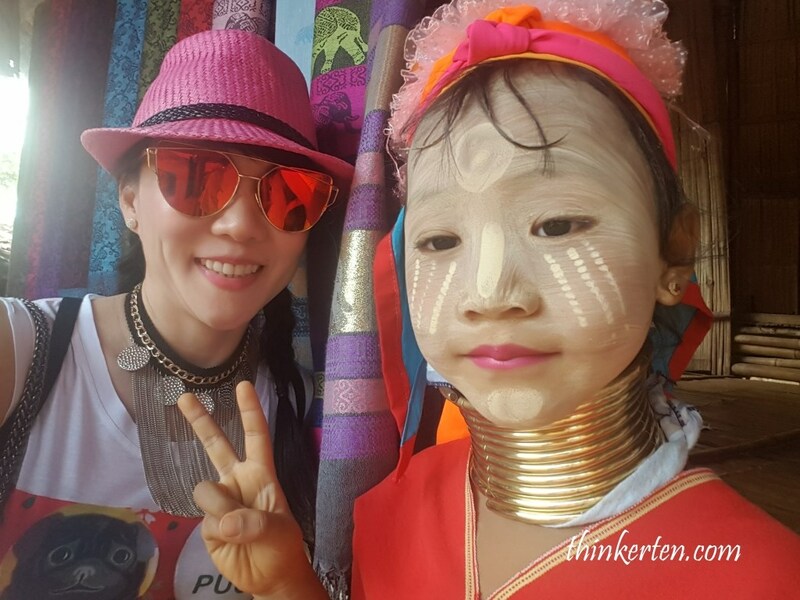 We stayed 2 nights in Chiang Rai with 2 different hotels. We checked out around 9am and moved to our first destination, the Golden Triangle. From our hotel, Phufa Waree Chiangrai Resort to Golden triangle took us about 1 hour drive. The road to Golden triangle was pretty smooth, not many cars and the roads are wide. 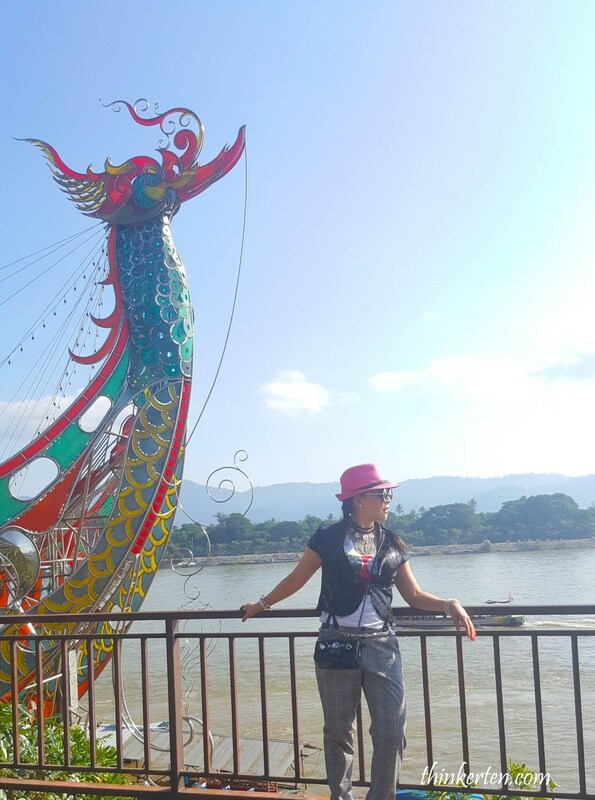 The Golden Triangle is in Chiang Rai Province, in the far north of Thailand. The English name comes from the meeting of Laos, Myanmar and Thailand. where the Ruak and mighty Mekong rivers join. Everyone’s probably heard here and there about the Golden Triangle. 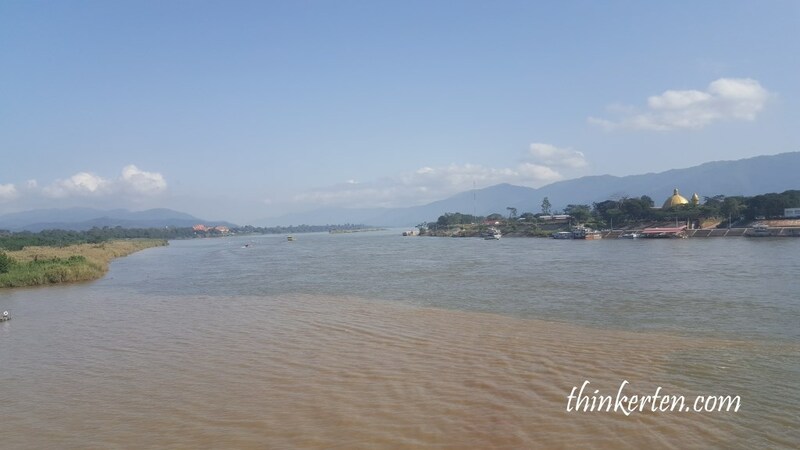 It depends on your expectations,the view from across the rivers is peaceful and you can see the Chinese have built a massive casino on the Laos shoreline. The Casino do stands out. A little background of golden triangle, historically the Golden Triangle has been an area well-known for the growing of opium, there is a opium museum nearby but we did not get in. It should be interesting to find out more about Golden triangle and the opium history from the museum. 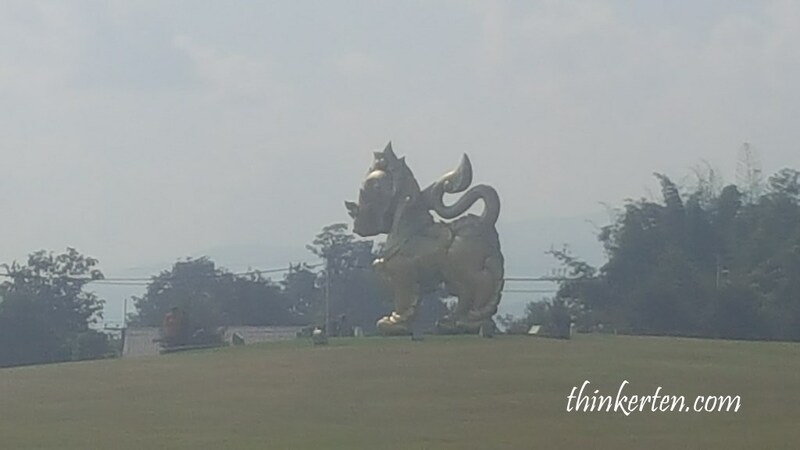 There is a big golden Buddha uphill and from the temple you can have a better view of the Golden Triangle. You can see 3 countries Laos, Myanmar and Thailand meet together. We did not take a boat down the river to cruise around the Mekong river. I heard there were also tickets to Laos or Myanmar. The peaceful Mekong river on the sunny morning. In the picture there is a Casino in Laos on the right hand side of the picture. I would say Golden Triangle has nothing special but to stand on a hill in the temple and watched 3 countries together as a view was an impressive experience. Many people take pictures from the Golden triangle landmark below, which is just next to the Buddha temple. 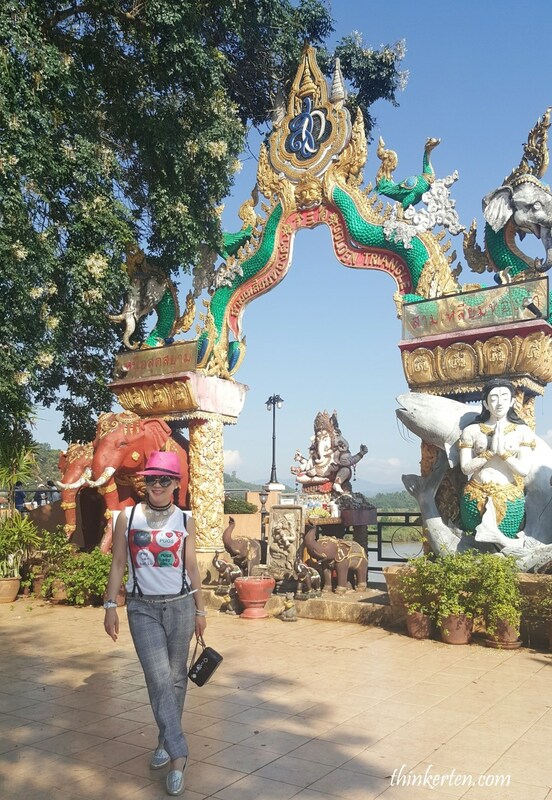 We left Golden triangle at around 11 am and moved to our second destination of the day – Mae Salong. Although the road is quite scary with lots of sharp curves, it’s worth a visit. The weather was so much cooling in the mountain which for me was so comforting to walk around the Mae Salong village. Mae Salong’s early history centered on the the opium trade of the Golden Triangle. Its recent history was shaped by the 93rd Division of the Chinese Nationalist Army that refused to surrender to Chinese communists after the Nationalist Kuomintang government was routed in 1949. 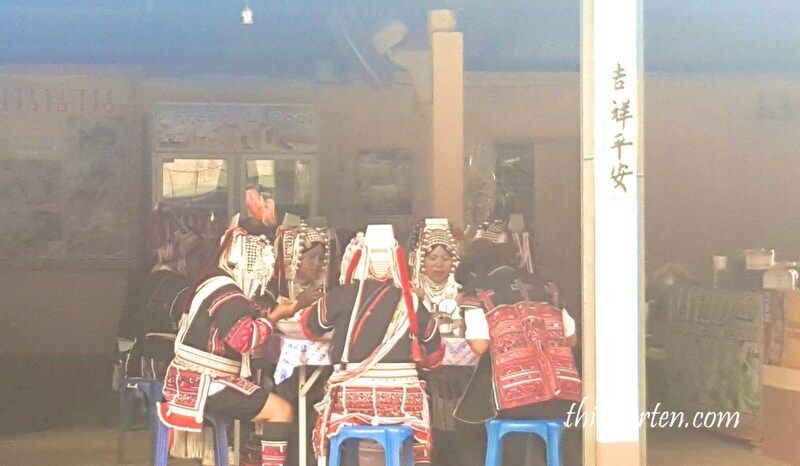 As a result, most of the village’s inhabitants today are ethnic Chinese and direct descendants of those KMT soldiers. 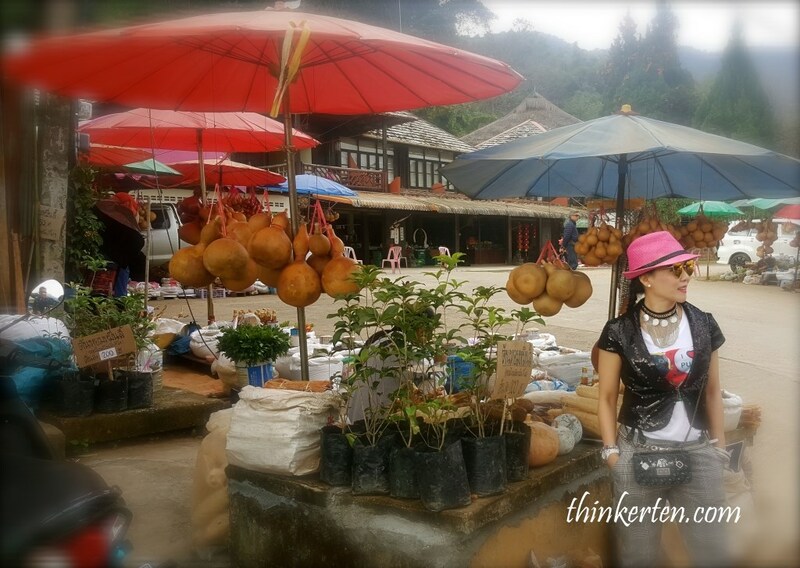 That was the reason why we could see a Chinese school and many restaurants selling Yunnan cuisine. We took a break from Thai food and had the most famous Yunnan “Crossing-the-bridge noodles” 90 bahts. After our lunch, we walked on the streets which were full of stalls selling souvenirs and little thing. Some bigger shops were selling oolong tea and mushrooms which is now Mae Salong’s main product. We spotted some sea of mist while strolling on the street, I think the temperature was about 22 – 25 c, a very comforting climate to walk around. 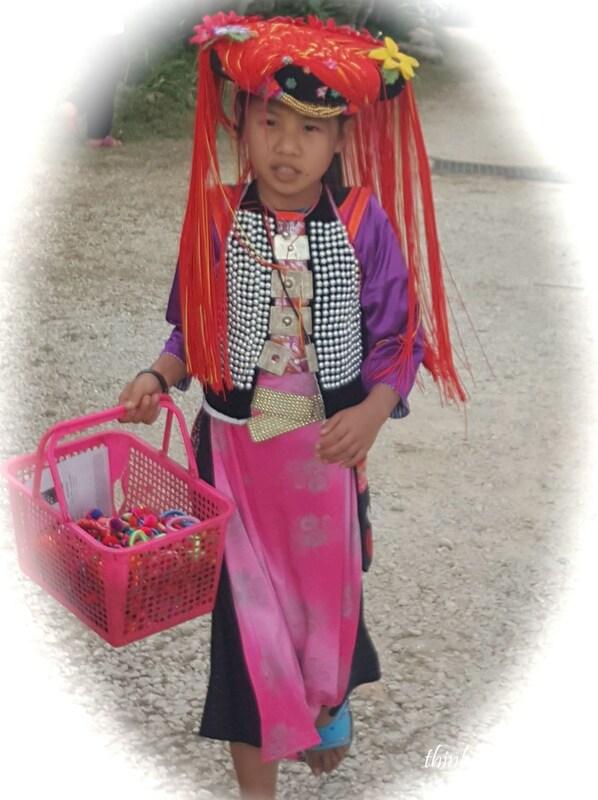 This little girl dressed in traditional Thai hill tribe costume, selling handmade hairbands. 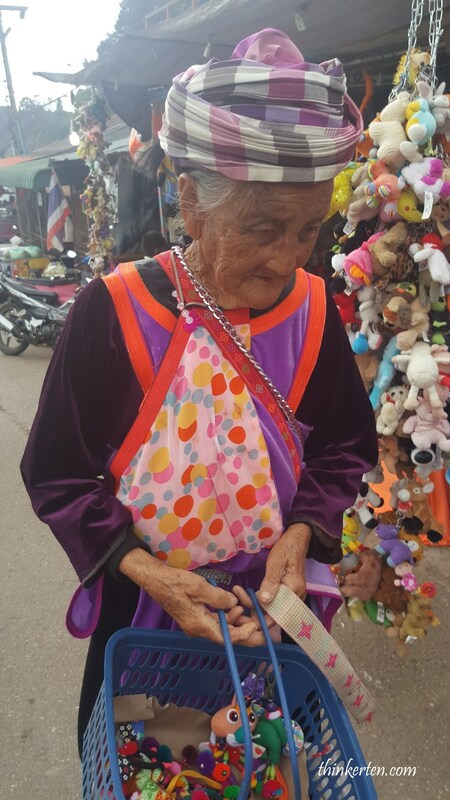 An old lady in hill tribe clothing also walked around and asking tourists to buy some handmade souvenirs. “DOI” is the Thai word for mountain or hill. When we drove on the highway, the highway signboard indicated “Doi” Mae Salong. The Doi Mae Salong is a mountain of 1200m high, the mountain road was not bumpy and the road is very smooth, except the road twists and turns with very steep and sharp turns but still I find it manageable, just need to slow down the speed. 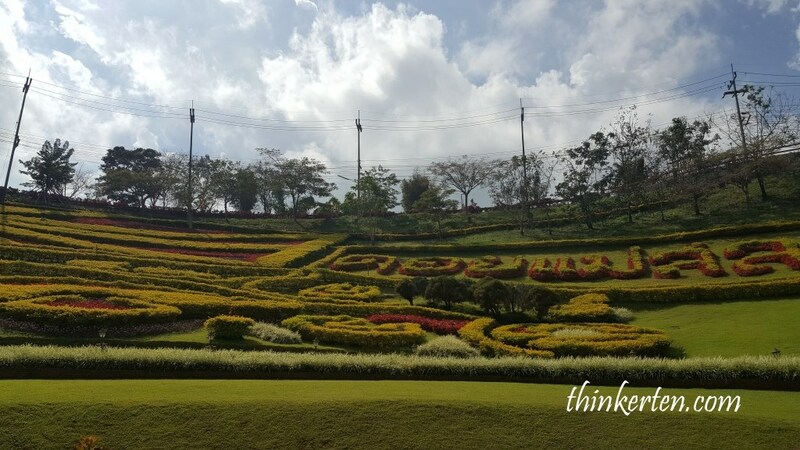 We left the busy streets and drove to the famous Flower Hill resort next and had our coffee break and some photos session. 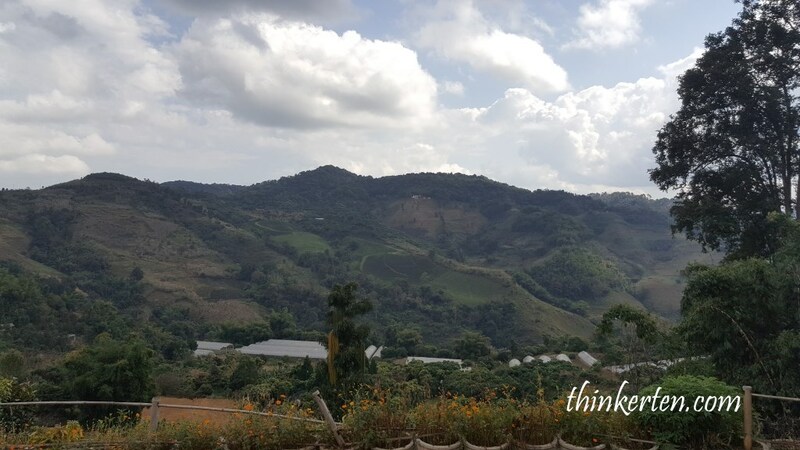 The resort has beautiful views of the valley, tea plantation and mountains. We bought some dried mangoes from the souvenir shop in the resort and it tasted awesome, 160 bahts. I find it so much cheaper compared to Chiang Mai. I regretted not getting more packets there. 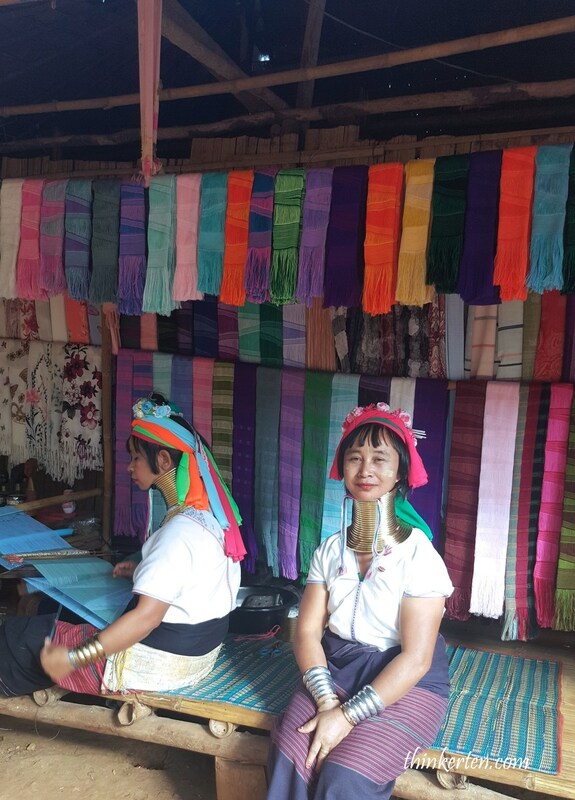 We left Doi Mae Salong at around 2pm and we decided to visit Karen long neck village again. 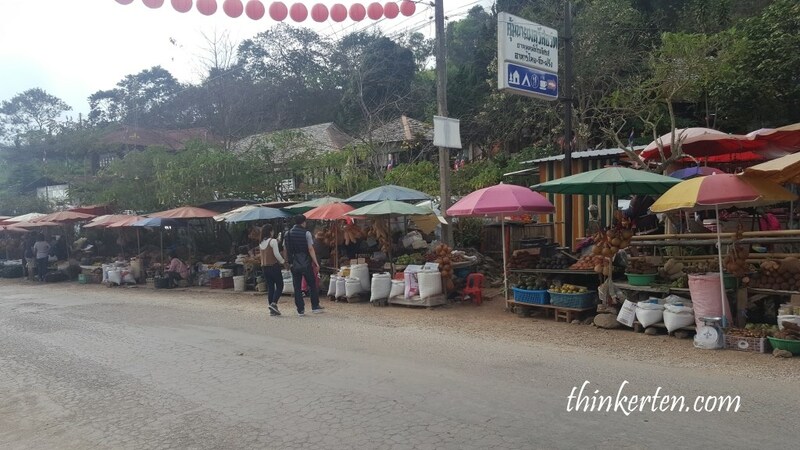 This time we drove to another Karen Long Neck village which was only 5 mins drive from the hotel we checked out this morning. 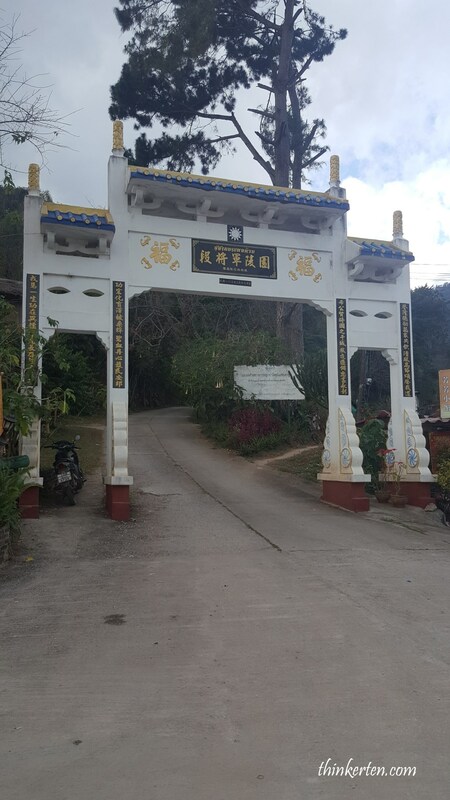 We reached Karen long neck village at around 3pm. We paid 300 baht per person and was given a directory how to walk around the village. There were 5 tribe in total in this tiny village. 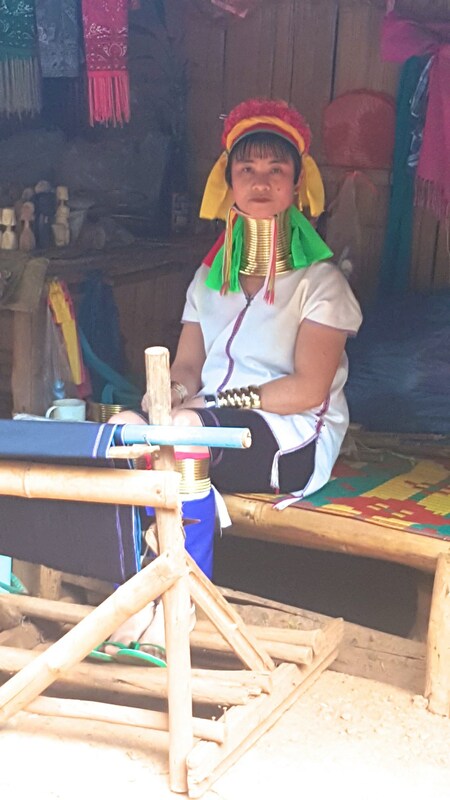 The women wearing these coils are known as “giraffe women” to tourists. They like to wear neck rings, brass coils that are placed around the neck, appearing to lengthen it. Girls first start to wear coil rings when they are around 5 years old. Over the years, the coil is replaced by a longer one and more turns are added. The weight of the brass pushes the collar bone down and compresses the rib cage. The neck itself is not lengthened; the appearance of a stretched neck is created by the deformation of the clavicle. Many ideas regarding why the coils are worn have been suggested. One of the belief suggest the coils might be meant to protect from tiger bites in the jungles. At first I really felt bad while walking in these villages of the long neck women, but then after interacting with them and buying few things with them, I thought it was a nice experience seeing their culture. Among the 5 tribes, one of it was Big Ear Holes Tribe. This little girl in the below picture was from the Big ear hole tribe. She has big ear holes! Nowadays big ear holes is a fashion thing and I can see many youngsters having big years holes. She was weaving the scarf while we passed by. We left Karen Long neck village at around 4pm and drove to Singha beer park again to take some photos. 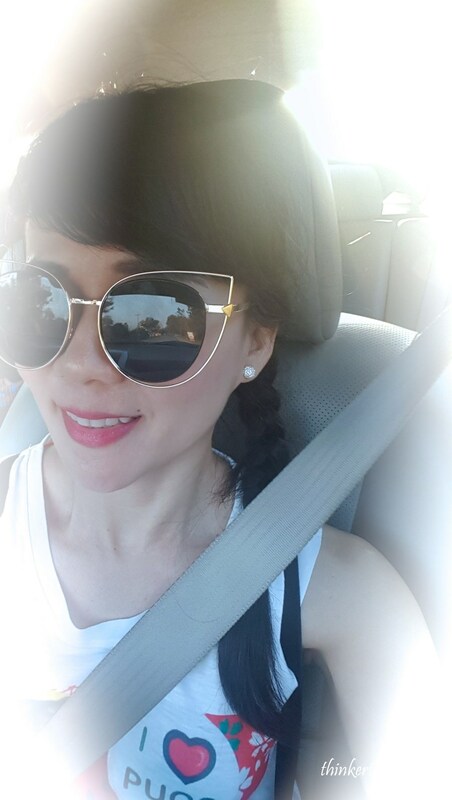 Yesterday was not a good day for photo session as the weather was extremely hot. It took us about half an hour to reach Singha Beer Park and the weather was so much cooling down as compared to yesterday. The time we arrived was about 5pm. Until recently Singha was the best selling beer in Thailand, but is now challenged by Beer Chang. Singha beer has a more bitter taste than Chang beer. Never had we seen such beautiful blue skies with amazingly beautiful scenery. The garden was spotlessly maintained. The park is very big and not recommended to walk. There is a place for bicycle rentals. Beware of sunburn even in winter time. 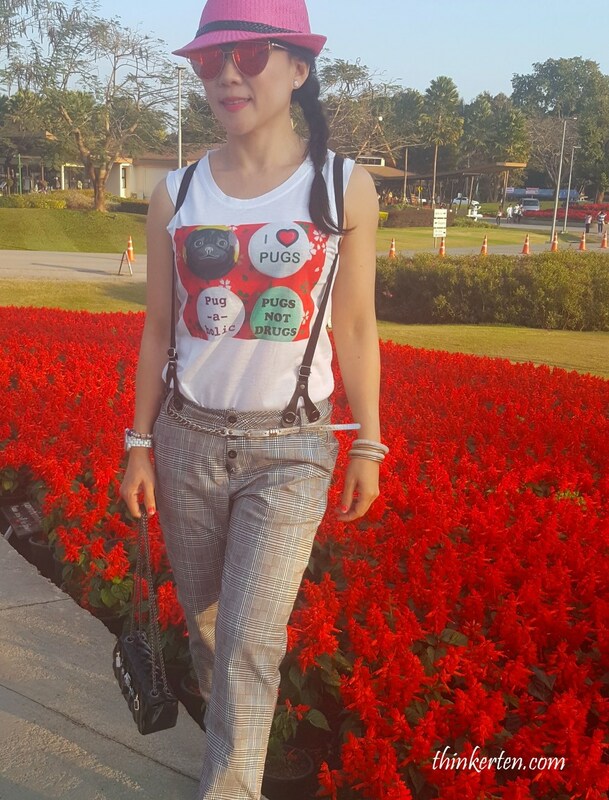 We stayed at Laluna Hotel & Resort Chiang Rai which has a beautiful lily garden. As usual we dine in the hotel restaurant for our dinner as we were too tired to go out to the night market. Night market were some distance if we did not drive. Dinner was delicious and price was reasonable with very big portion. We completed our dinner with Singha beer.